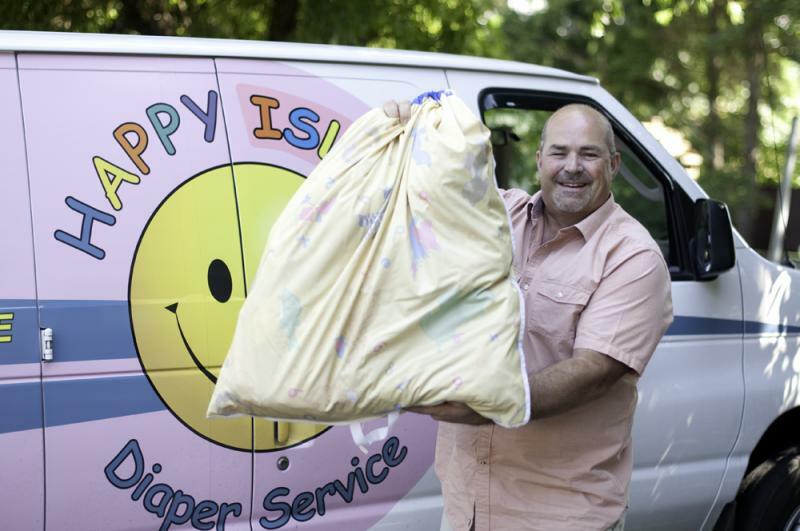 Every Friday a pink van shows up at my house and this very happy man (Wes) comes and takes Taylor's dirty cloth diapers away, and he leaves a bag of freshly laundered diapers behind. I have to admit, it's fantastic. 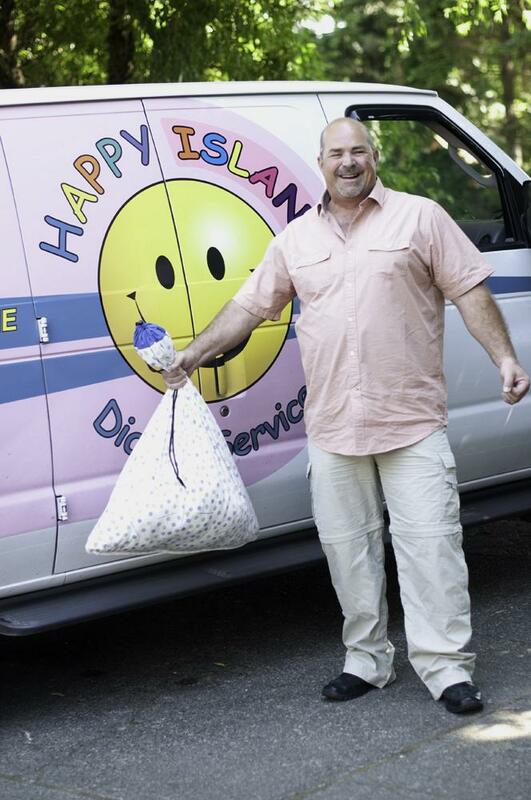 Look at how happy he is taking Taylor's stinky diapers away! This is defiantly a job I'm happy to pay someone to do. It was important for me that we use cloth diapers, Haydn was against it, only because he knew he would end up doing all the laundry. So Happy Island was the perfect answer for us, cloth diapers so we are not filling up a landfill and no washing or rinsing. Just use the diapers and throw them in a pail. Put them on your door step and new ones in the exact size you need, as many as you need show up. It's like magic. I would recommend checking them out, Leslie in the office is so nice. She even helped give me tips to help potty train. Taylor is almost potty trained now (yah!) so this is our last pick up. Thank you so much for washing all those dirty diapers! You're amazing! 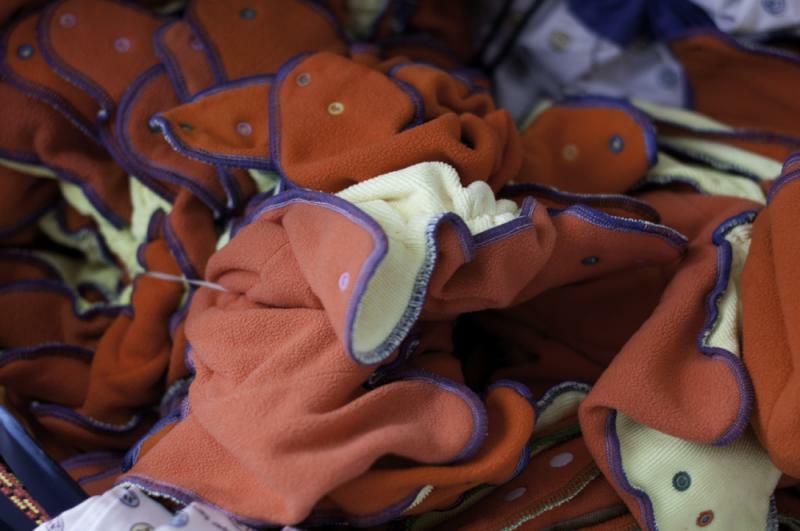 The diapers are soft and easy to use. They just snap together. The trick is to have good diapers covers and to have the right size diapers. The only time they leak is if the diaper or the cover is too small. We put our pail on our back deck so there was no smell in the house. But mostly it's so when I forgot to put the pail out Wes could still get the diapers. The charcoal filter in the pail works really well when it's closed. It was opening the pail that got smelly when Taylor got big. Apparently kids that use cloth diapers potty train earlier. Taylor started training at 16 months, on and off. Taylor only had one diaper rash her whole life. We started using them as soon as she was born. 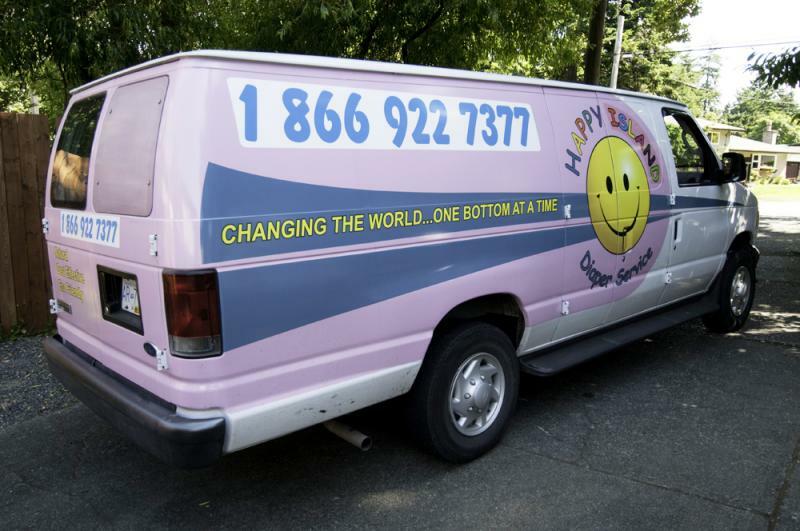 "changing the world...one bottom at a time"